The world’s mobile phone market is experiencing a low tide, and it is going down to the coming of the 5G era, and we are preparing for it, says LEI Jun (雷军), the CEO and co-founder of Xiaomi (小米), a leading Chinese smartphone company. The speech comes from an interview between Lei Jun and Qualcomm China. 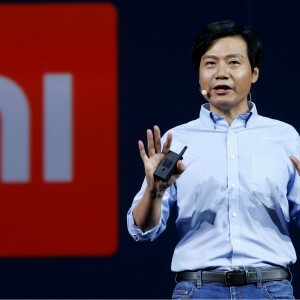 When being asked what is the target of Xiaomi in 2019, Lei Jun answers that Xiaomi has prepared for the low tide of the global mobile phone market which will go down to the coming of 5G era, and Xiaomi sees the huge room to grow in this period, the company is going to prepare for the 5G era by improving its quality, innovation, and delivery. Founded in 2010, Xiaomi released its first smartphone in August 2011 and rapidly gained market share in China to become the country's largest smartphone company in 2014. At the start of Q2 of 2018, Xiaomi was the world's fourth-largest smartphone manufacturer, leading in both the largest market, China, and the second-largest market, India. Xiaomi later developed a wider range of consumer electronics, including a smart home (IoT) device ecosystem. The company went public at the Hong Kong Stock Exchange on 9th July 2018 and is now listed at the Hang Seng Composite Index Series, a stock market index of the Stock Exchange of Hong Kong which launched in 2001. Lei Jun says the company’s IPO at the Hong Kong Stock Exchange is the key point of Xiaomi in 2018, while in 2019, the company chooses to breakthrough its past success. The company is going to transform its position from mobile phone-centered into the so-called “mobile phone and AIoT” strategy. AIoT stands for Artificial Intelligence and IoT (Internet of Things). During the Artificial Intelligence World Conference held in Shanghai in November 2018, Lei Jun said that the combination of “AI + IoT” is one of the main strategies conducted by his company. “Human beings will enter a new era of wisdom with the combination of AI and IoT,” said Lei Jun. The AI and IoT strategy has brought a significant increase to the company. Its revenues in the third quarter of 2018 reached CNY 10.8 billion (USD 1.6 billion), representing a total increase of 89.8%.